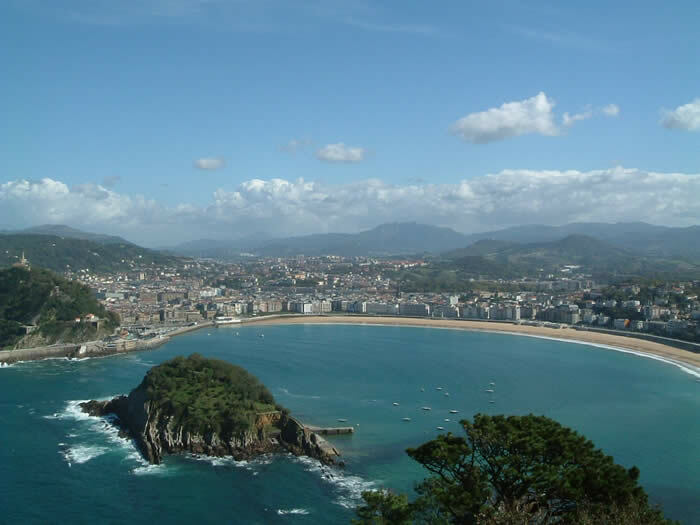 So that you can make the most of your visit to San Sebastian with friends or family we would like to recommend an apartment in the centre of San Sebastian. It is the Verdi Apartment, accommodation for up to four people, located only minutes away from San Sebastian’s emblematic Concha beach. The Verdi apartment can be found in an old romantic style building, stone walls and wrought iron balconies as characteristic to San Sebastian as its pintxos. 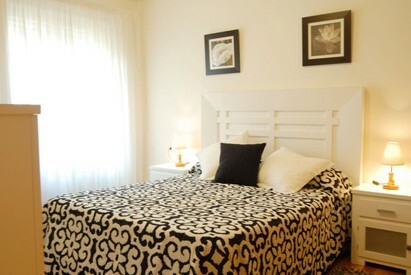 The interior of the apartment has been completely refurbished, wooden floors and lots of natural light. 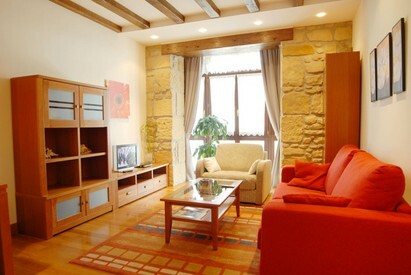 At the heart of the apartment is the living room with an exposed stone wall and a comfortable sofa-bed where you can have siesta or plan daytrips to the main tourist attractions in San Sebastian. The small kitchen comes fully equipped with everything you need to prepare an energy filled breakfast or a relaxing dinner. That is of course supposing you prefer cooking instead of eating at some of the restaurants handily located close to the apartment. Whatever you choose the Basque food is one of the cities great attractions as well as the parks, the nightlife the old city and the cliffs overlooking the sea. Need any other reasons to start packing your bags?